Bas’s job title is quite a mouthful. He is Head of Digital Connections Europe at AB InBev. Simply put, Bas makes sure that all the money ABI’s brands spend on connecting to customers (mostly through paid media) digitally is done in the most effective manner. We spoke to him about his dynamic career. This is the first part in a series of short pieces about people who inspire us at Lens. We are happy to share their stories with you. Do you know someone we should meet? Please let us know via hello@lens.careers Enjoy the reading! Building a career and making choices is challenging to everyone. We all deal with this in our own unique way. You ask for advise, look at the CV’s of others, ponder different considerations, philosophise a bit and look at the different possibilities. A lot of people are constantly exploring their possibilities. But when is it the right time to make a new move? Bas has been confronted with this question since the start of his career. In recent years, he has developed a model in his mind that he calls the ‘happiness optimization formula’. It is a method that allows him to turn the complexity of ambitions and conditions into making the right choices at the right time. Bas knows what he wants and makes happiness related hypotheses for the career choices he makes. In a quasi-mathematical manner in which he considers various aspects, such as long and short-term prospects, happiness, age, ambition, family and friends. Bas grew up in an internationally oriented family and, after completing his studies in Economics at Groningen University, started his career at Heineken as a Project Manager in Congo. His return to Africa, he lived there as a child, meant the return to the raw, unpolished reality of this continent. It inspired him and stirred up a passion for this continent. Exploring new terrain has since become a thread throughout his career. Bas wants to explore and be involved in setting up new endeavours. Preferably in places where there is little to nothing, yet. Both in geographical as in a digital manner. This is the habitat in which he thrives best. After eight months in Congo, he returns to the Netherlands, where he starts working in the retail sector. Bas starts as a Category Manager Beer at Albert Heijn and after a year he becomes manager of a supermarket in Amsterdam at the Van Woustraat. A challenging job with many possibilities. During various conversations, Bas came to the conclusion that the act of creating is a huge driving force in his life. A learning curve is what he needs, a job that does not become too comfortable. 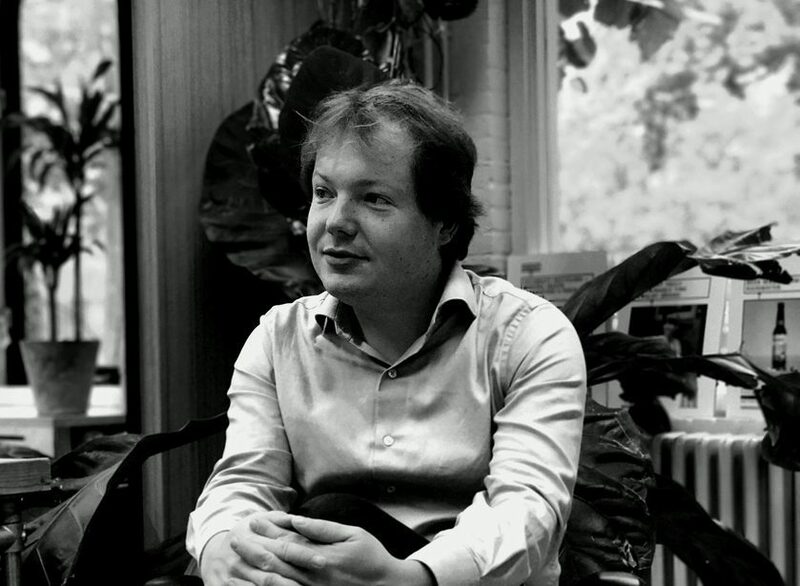 Bas recalled his early teenage years, in which he loved to build websites. This reignited his passion for computers and the digital world. He ventured to set up a ticket sales website. Later on his brother stepped into the business, which still runs today. Bas made a move and started working for SparkOptimus. This matches his will for development on a steep learning curve. His time at this company is still very important: His short tension span and love for everything digital came together in this job. After some time, Bas was still very happy with his job, he was approached by AB InBev with a unique opportunity. At first, there was doubt: “Does a large international company fit my entrepreneurial spirit?” During the conversations, however, it became apparent that he would work at ZX Ventures, the innovative start-up within the parent company AB InBev, which turned out to be completely new and interesting work, a real challenge. After just 1 year at ZX Ventures, Bas now works for ‘the mothership’ AB InBev. His work is unpredictable, disruptive and innovative. AB InBev works fast and growth is very important. This closely correlates with his way of thinking. Through a number of different opportunities, the happy functioning method has brought Bas to a place where he feels at home. He discovered that he likes structure thinking and working on analytical problems more than he thought. He operates in an ideal playing field, where he can make use of unpredictable and new resources. His predisposition for systems and matrix schemes make his task manageable. Complex choices are thus well structured and simplified. Bas identifies three types of people in the labour market. The first type is glad to have work and takes pleasure in life outside the workplace. The majority of people fall into this category. The second type consists of the specialists. Think of people who make a living with their passion. They find their work amazing. They have found their calling and true passion. Bas sees himself as part of a third, smaller group of people who know that life is short and want to get the most out of it. They did not find their true calling right away. They continuously try new things until they are doing something that truly makes them happy. These people follow the route of happiness, not that of the CV. They believe that if you do something you like, the important things in life will fall into place and you live your life as a happy and balanced person. If, in the future, Bas does not find his work challenging anymore, he will start ‘calibrating’ his happy function anew. Bas does not have a very accurate look on what the future will bring. Fortunately, manoeuvring quickly is one of his strengths.